The most successful real estate agents are not solely concerned with getting the next listing or selling another house. Instead, they realize the importance of developing long-lasting relationships with their clients and with fellow business professionals, because the networks they create will generate referrals for years to come. They are interested in establishing themselves as respected real estate authorities that the community will repeatedly consult for information, because this will help to build their brand. 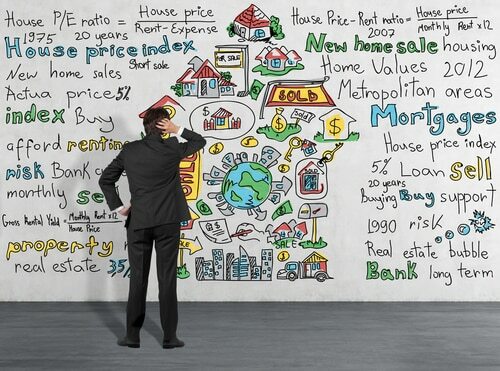 These goals cannot be accomplished using a single real estate marketing strategy. To achieve the extended marketing reach and strong real estate brand that ensures an agent’s long-term success, real estate professionals must employ a variety of real estate marketing strategies on an ongoing and continual basis to develop this strong business model. A real estate blog is content marketing at its best, helping to attract new visitors to your website while ensuring it stays at the top of real estate search engine results for your area. At For Sale Marketing, we recognize that creating interesting, relevant content on a consistent basis can be difficult and time-consuming for many realtors, who already have a full schedule. For those professionals we offer real estate blogging services. Our professional bloggers, who are expert at SEO and local SEO strategies, can write an engaging real estate blog for you once or twice a week (whichever you prefer). We will provide you with a mix of blog content, with posts that are interesting to read and contain local keywords in the precise density and placement to score high in search results. A typical month’s worth of real estate blogging will consist of posts from these four categories: Local Info, Services You Offer, Marketing Information, and Helpful Real Estate Tips. We can also include some blogs about specific properties you have for sale, as desired. Email newsletters are a highly effective real estate marketing strategy that you can use to stay in touch with past clients and turn new leads into signed clients. To maximize the returns from this valuable outbound marketing strategy, you need to send tightly targeted newsletters with highly relevant messaging. You should separate your email addresses into buyers, sellers, and renters, and send each group their own individual real estate email newsletter with messaging specific to their situation. We can create dynamic, attractive email newsletter designs for you, with catchy subject lines that improve your opening and click-through rates. Social media marketing provides an unparalleled opportunity for real estate agents to engage with a large circle of prospective clients – but it will take a sustained, consistent effort. You don’t need to establish a social media profile on every platform out there, just three or four of the ones that are most popular with the home buyers and sellers you want to connect with. For Sale Marketing’s marketing experts can help you select the right social sites to reach your target audience, and develop solid social marketing strategies that use the strengths of each platform to ramp up engagement with your clients. Once your social media strategies are up and running, enter into one of our monthly social media marketing contracts and leave all the Tweeting and posting to us so you concentrate on running your real estate agency. Adding video postings to your website and social strategies is a great way to rev up appeal and build interest among prospective home buyers. The talented videographers at For Sale Marketing can storyboard and shoot professional-quality videos that will showcase the best features of your properties and neighborhoods in a way that even the best blogs and photos never could. Ideally, you should mix property tours, neighborhood areas of interest, and informational videos to get the best results. We can also help you set up a dedicated video channel on YouTube. We’ll create a distinctive look and styling for your channel that echoes your website for a strong branding performance, then populate your video page with agent and property videos to generate repeat visits. Your knowledge of the local community is an invaluable marketing asset that can give you a decided advantage over the large directory sites that have invaded search engine rankings. Real estate customers are eager to learn everything they can about a location before they purchase a new property. Highlight your insider knowledge of the local community with a series of real estate blogs about everything local: best restaurants and shopping, night life, family activities, opportunities for community involvement, school reports, and real estate statistics and demographics and show you how to incorporate them in your blogs to improve their performance in search engine results. Real estate branding extends beyond your website – while Internet marketing strategies will form the cornerstone of your real estate marketing efforts, it is still important to employ offline marketing strategies to encourage potential real estate clients to contact you. For Sale Marketing offers a full suite of graphic design services including our best Branding Package, which includes custom designs for a personalized logo, business cards, letterhead, and HTML email signature. Implementing comprehensive real estate marketing strategies takes a lot of persistence and hard work, but the results are definitely worth the effort! The real estate marketing professionals at For Sale Marketing are your one-stop shop for expert real estate marketing strategies to grow your agency, with responsive real estate website design, social media marketing services, email marketing services, video production services, as well as graphic design services for your direct mail real estate marketing strategies.